Wow, very impressive! 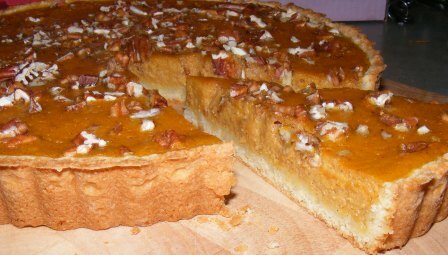 I’m not sure, though, I’ll make this tart, because pumpkin in a tart just sounds a little strange for my German tastebuds ;o). 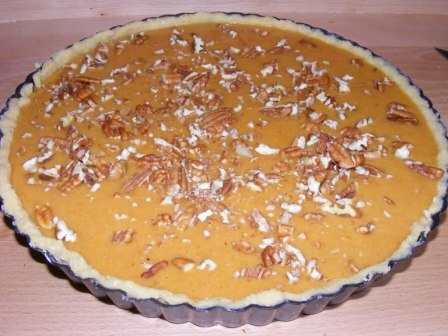 Do you not eat pumpkin pie in Germany? Oh, you poor fraulein! Is it too early to claim what I’m bringing for Thanksgiving this year? 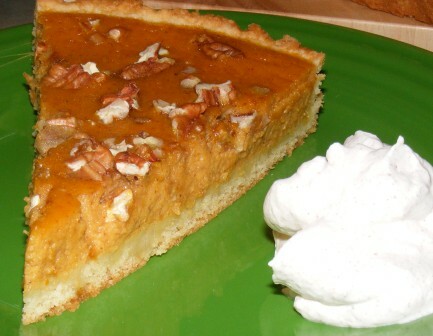 This looks incredible and I have no doubt that I will love it since I love pumpkin pie. Oh, I can’t wait to try it!!! It’s never too early! I think I need to practice making this about a dozen or so times between now and then, though. 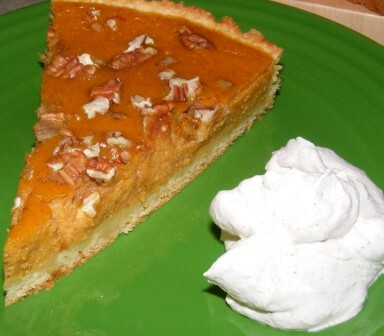 Hey, I forgot the sugar, you forgot the pecans. I think we both have to make it again! 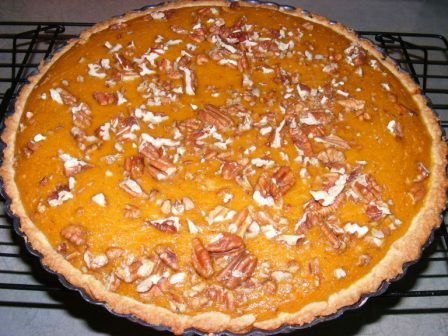 It looks really outstanding, and I am not a pumpkin pie fan by a long shot, but Mark is and I think I could recognize something good when I see it…and, of course, there is just Nick’s track record as well. Definitely putting this on the list, I scored both pumpkin and a little tiny airline bottle of bourbon today so I’m good to go for tomorrow. Great photos. I’ll never catch up with you at this rate! Mark will love this tart. And I have a feeling you’ll be making it more often than just once a year at Thanksgiving. Hey, I’ve always used the same recipe she does. This one beats it hands down.